It's Veterans' Day 2012 and we're thankful and grateful that we live in a country with political and religious free choice. I want my children to work for peace and justice, and to realize how much some have given for our country. We live in a multicultural nation full of strong, creative, committed, caring individuals. 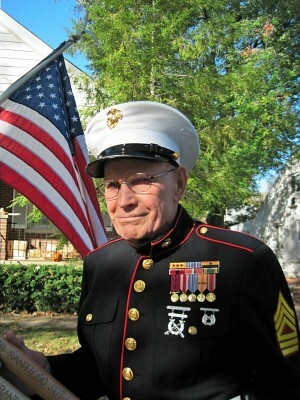 In honor of Veteran's day, we're featuring two true heroes, both Marines, who made sacrifices for our country. Check out ChiIL Mama's original interview with Frank Fontana of Craftsman Experience and Josh, right here. Josh has a winning smile and a great attitude. He even helped design a new, creative cabinet space that will increase his independence with loads of low shelf space for often used items. The top end is rounded and on a hinge so he can pull his chair up easily. After serving in Afghanistan, Marine Lance Corporal Joshua Misiewicz returned home to La Grange last July with new challenges. During his tour, he suffered various injuries, including losing both of his legs. Heroes at Home, a program developed by Sears in partnership with Rebuilding Together, tried to make the transition a little easier by making modifications to his home to accommodate his new situation, including a wheelchair entrance ramp and lower kitchen cabinets. ChiIL Mama was on hand to meet Josh and his family at the Kenmore Craftsman Brand Live Experience. Formerly the Craftsman Experience, located at 233 W. Huron Street in Chicago, the redesigned venue combines both of Sears’ flagship brands into one innovative and interactive studio. The space includes two kitchens outfitted with new Kenmore appliances, an innovation area spotlighting the latest from both brands, a Craftsman workshop and more. Volunteers and members of the media had the opportunity to chip in donations and help build the ramp, cabinets and more. 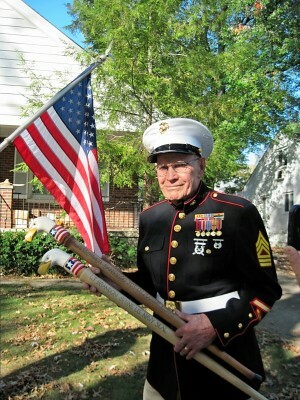 Cliff Reeder is a retired Marine who has hand carved over 60 canes for current veterans who have been injured. In the past several years, he's also helped with disaster relief efforts and rebuilding communities. 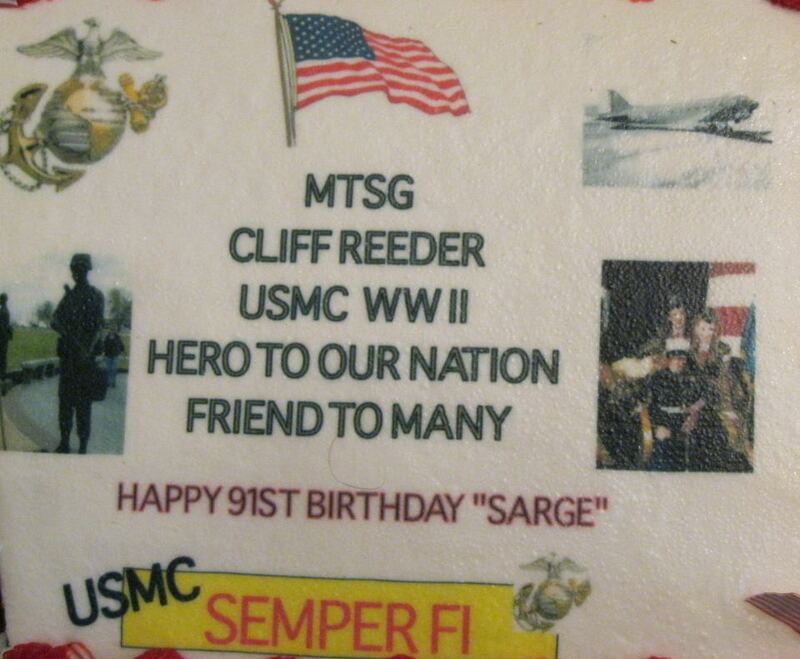 Cliff has been a close family friend since my mom was in 3rd grade! He was married to my grandma's best friend and lived across the street from my grandparents most of their adult lives. 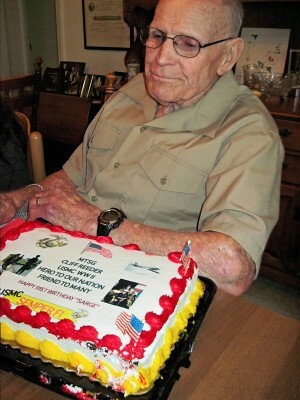 Now he's the last living grandpa/great grandpa figure we have, and a valued part of our family. 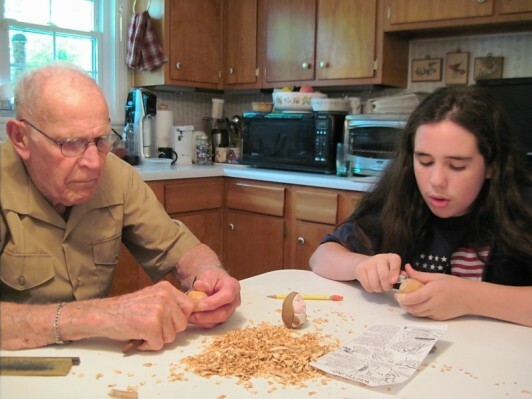 Here he's teaching my 11 year old son, Du-Jay how to carve on 4th of July. This Veterans' Day, we want to make sure our children know that November 12th is more than a vacation day off school. 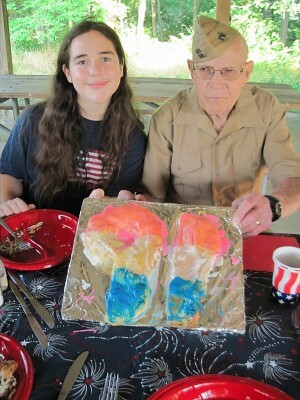 It's a day to remember, to realize the cost of war and peace, to learn from our past, and to protect what's important. Thousands of active-duty soldiers will be away from home this holiday season and Sears is calling on America to help bridge the miles and make the holidays a little easier for the men and women who serve our country. 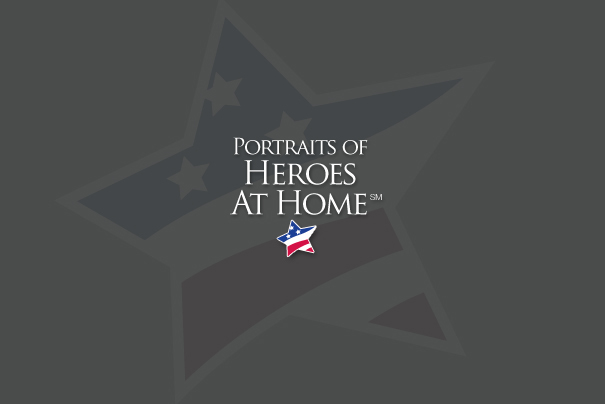 You can help military families by donating in-store at Sears or online now through Nov. 16. The Wish Registry gives deployed service members a chance to send their love home by providing the means for them to purchase practical gifts such as clothes, toys and holiday decorations. 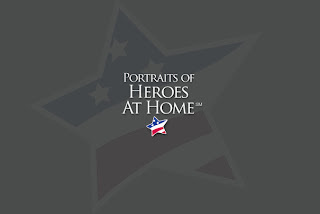 The program distributes 100 percent of donations back to military families across the country. Through the generosity of Sears customers and associates, we're proud to have raised more than $17 million and helped more than 83,000 families since the Wish Registry launched five years ago.